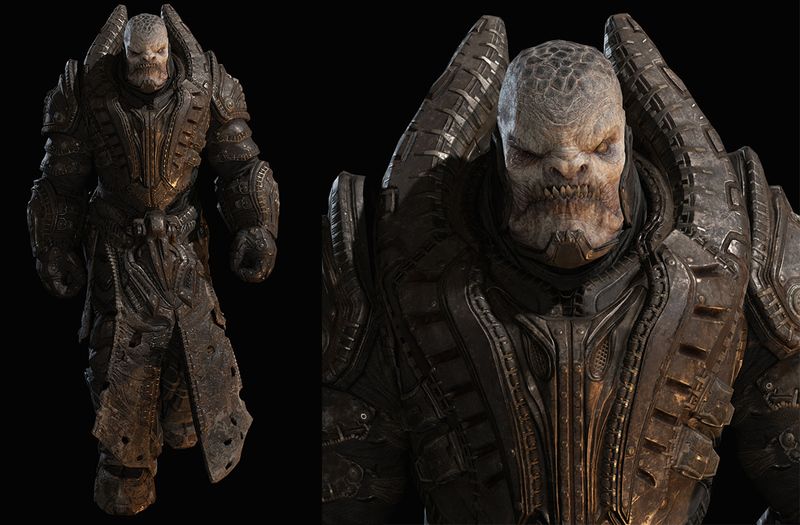 Military leader of the Locust and fan favourite character RAAM was re-concepted and fully re-built from scratch for Gears of War: Ultimate Edition. We hope that you enjoyed getting a sneak peak of RAAM in the Cinematic Behind-the-Scenes video or the Comic Con panel video recap! Read on below to hear from Ultimate Edition’s Art Director, Chris Matthews and Lead Character Artist, Heber Alvarado about how RAAM was remastered. 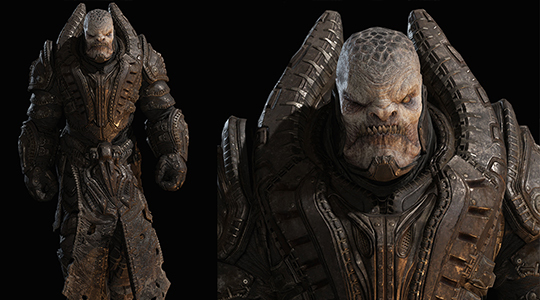 Chris Matthews: In the original Gears of War, General RAAM was the same model as the Theron Guard but with black textures. 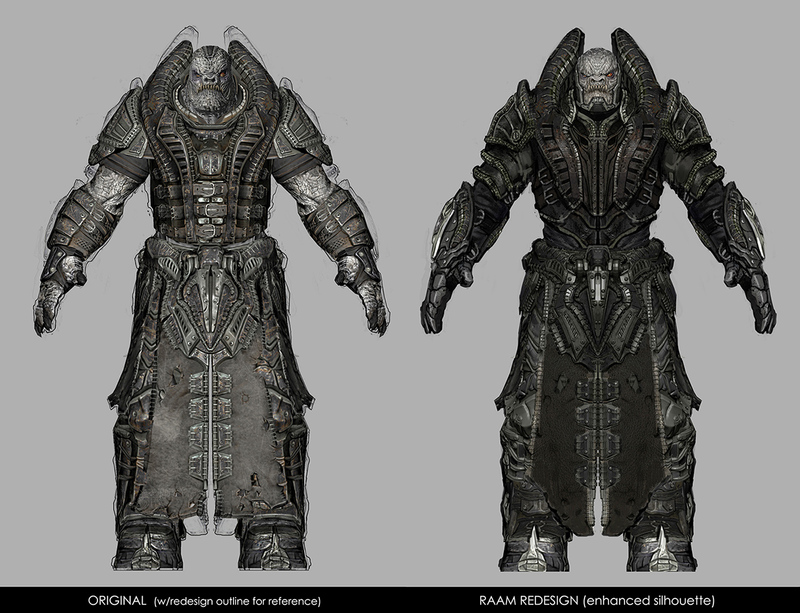 We wanted RAAM to feel more menacing and imposing while still paying homage to his original design. By raising the armor above his head we felt it would differentiate him more as a leader, and we also gave him new metal jaw armor and enhanced his scarred face. We also did a full pass of his armor to make it feel more realistic and functional with how the buckles and clasps would fasten, as well as add even more unique detail to make him appear higher rank and more threatening. Heber Alvarado: All the character artists on the project loved RAAM, and we took great care when updating him to give him a stronger silhouette but staying true to the original intention of the character. We wanted the surfacing of the character to be more believable and react better to lighting and shadows. We improved his materials and textures by adding dirt, grime, wear and tear in many layers to make it appear as if he’s been through battle. Fun fact: we doubled the triangle count (model quality) of RAAM from 14,000 in the original Gears of War 1 to over 30,000 triangles in Gears of War: Ultimate Edition! Overall I am really happy with how our team executed the model and we hope fans love him as much as we do.